We’ve had to change the date of our public meeting by one week because of Parliament delaying the return of the ‘End of Life Choice’ bill. 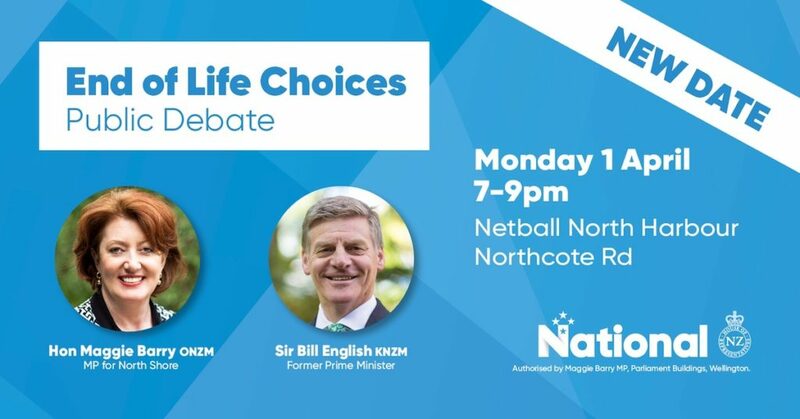 We are now holding the debate one week later – on Monday, 1 April at the same time and place – 7pm-9pm at Netball North Harbour, Northcote Rd in Takapuna. End of life choice will inevitably affect all of us and the people who matter to us, so it’s important to understand that this bill proposes changing the Crimes Act to allow euthanasia and assisted suicide. More than 90% of the 37,000 New Zealanders who wrote submissions to Parliament were against the bill and many expressed concerns that there were no real safeguards against coercion or to protect the vulnerable. 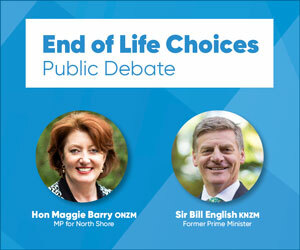 Please join me, former Prime Minister Sir Bill English, Canadian palliative care expert Dr Leonie Herx and pro-euthanasia advocates and have your say in this important public discussion. I hope you will be able to join us on Monday night, 1 April.